Branding and web design for a career coach helping people think differently and make change. 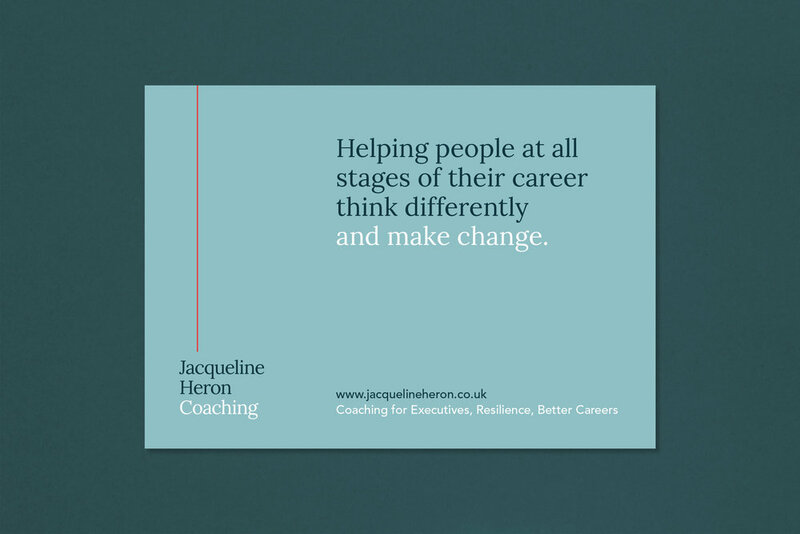 Jacqueline Heron works with people to enable positive change at all stages of their career, from graduates to executives. With 25 years in the corporate world, Jacqueline’s significant business experience gives her a unique position to help motivate people to perform at their best. We worked with Jacqueline to refocus her positioning, create a new identity and design a website to clearly communicate her message.